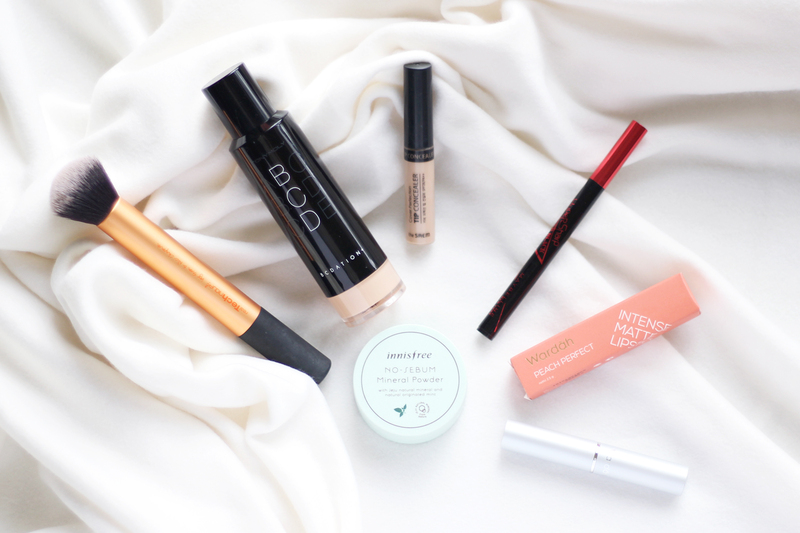 Who doesn't love pampering themselves by the end of the day? I usually love to take a long nice bath and then put on a sheet mask while watching movies or just chilling on my comfy bed and reading some books. Well, that's another reason why I love sheet mask. They're easy to use even while we're doing other activities. Today I wanna introduce new sheet mask from Miss Luna. 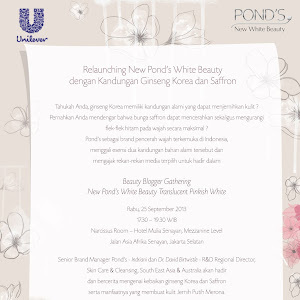 Miss Luna is originated from South Korea, which we had probably known are famous for skincare and cosmetic products nowadays. 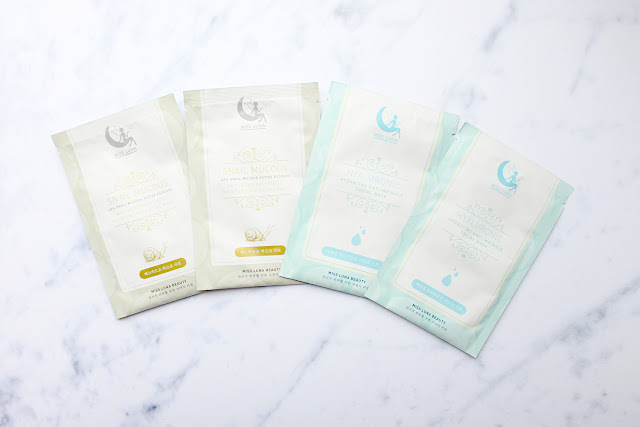 These sheet mask are created from fruits fiber which make them non allergic and pretty thin. 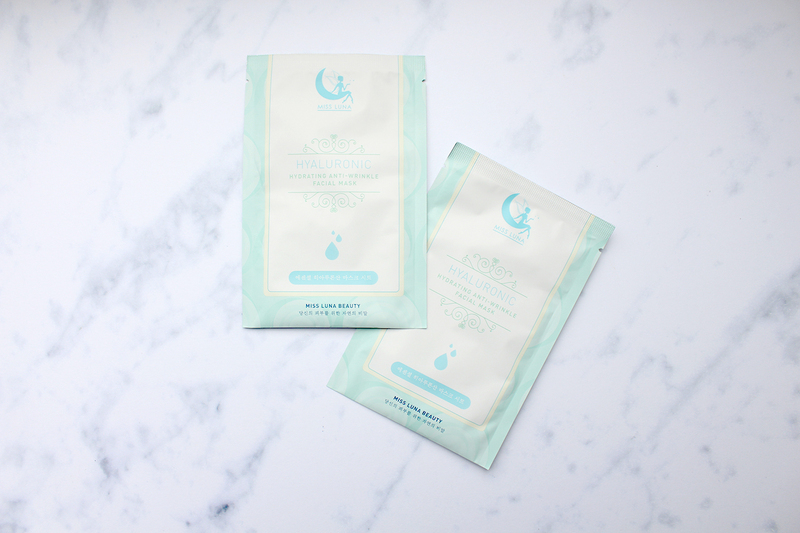 There are two different variant availables, Hyaluronic Acid and Snail Mucous. 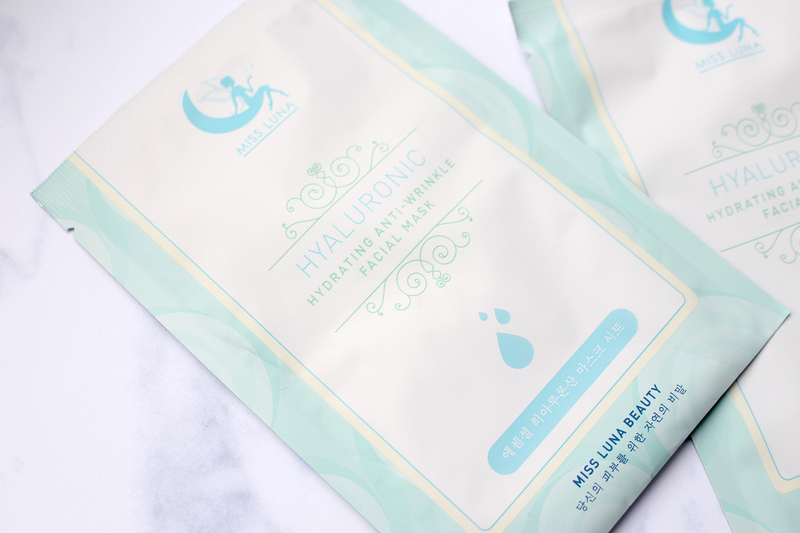 Miss Luna Hyaluronic Acid Sheet Mask is packed inside a matte packaging with baby blue color. 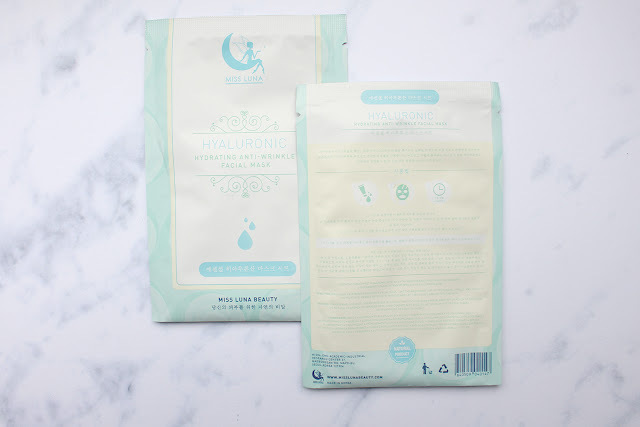 Hyaluronic Acid is a natural substance in our skin. By the time we're aging, the amount of Hyaluronic Acid in our skin is decreasing, especially if we're not having a healthy lifestyle, high level of pollution, stress, and many more. Lacking Hyaluronic Acid in our skin will cause wrinkles, dry, and loose skin. 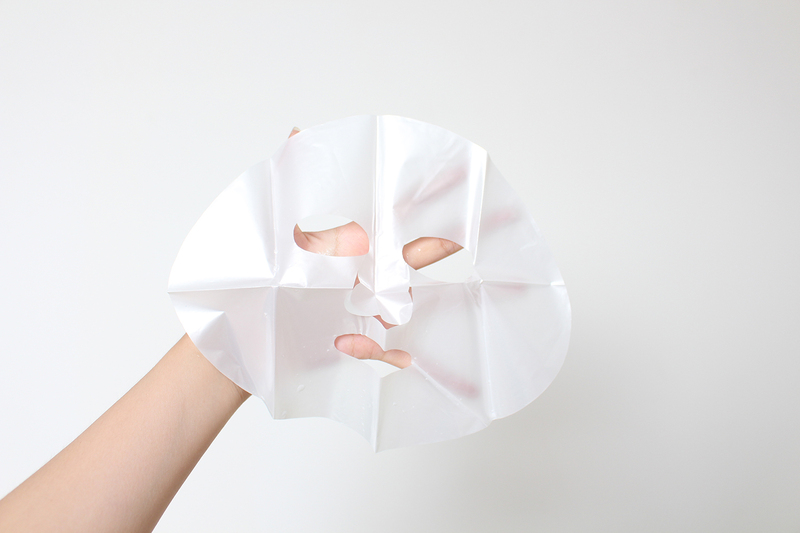 This sheet mask is more suitable for adults which often experience dry skin and wrinkles. All descriptions and ingredients are written in Korea. 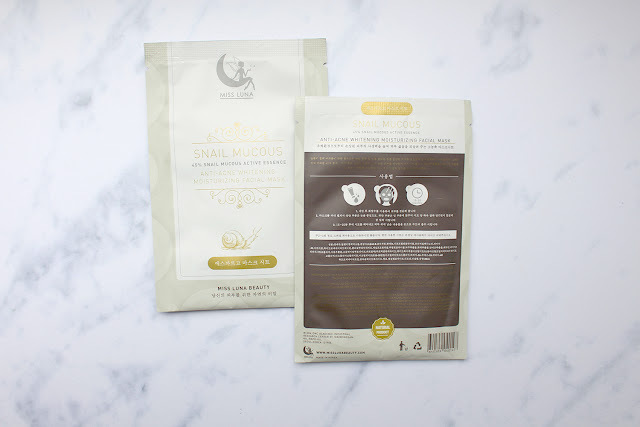 Snail Mucous is one of natural ingredients with a lot of benefits. 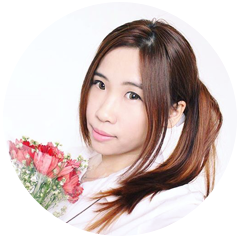 In beauty industry, Snail Mucous are often used in many skincare products as it could help to moisture our skin and regenerate our skin cell. 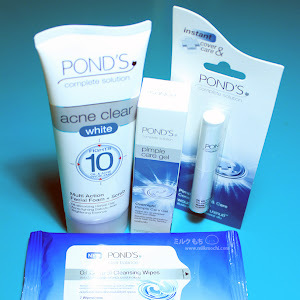 It also great to fight against acne and scars. 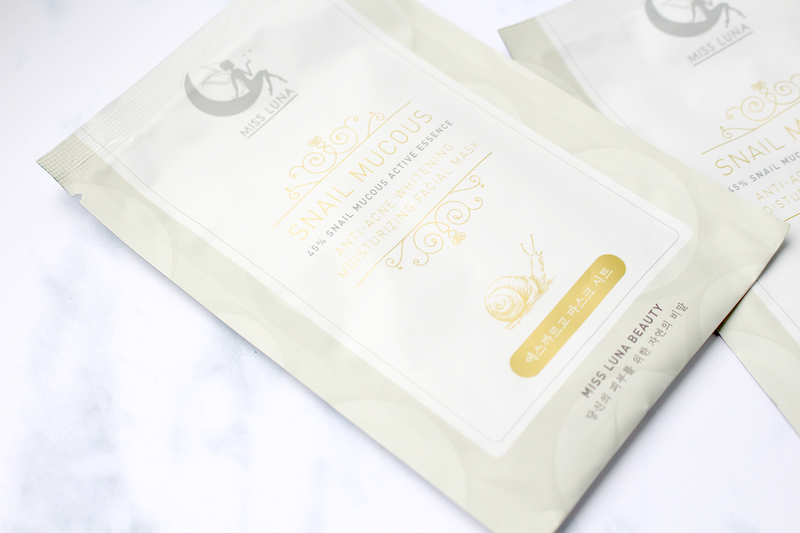 Snail Mucous Sheet Mask is more suitable for teens and young adults. 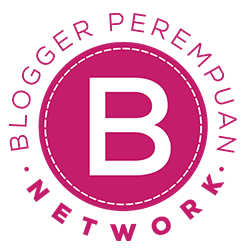 It could help to soothe sensitive skin and get rid of any acne problems that usually occurs on teen age. Here's how does the mask look alike. It is actually the plastic separator because the mask is very thin and not sturdy enough to be captured. Wash your face thoroughly before put the sheet mask on. Let it sit for around 30-45 minutes. Take off the mask and gently pat the remaining essence on your face to help your skin absorb it. No need to rinse your face anymore afterwards. I recommend to use this sheet mask at night before bed time so the essence could work better during our sleep. The shape fits my face nicely, not easily slip, and surely thin. It doesn't feel heavy and there's a bit of cool sensation right after you put the mask on. The amount of essence are also just right which means no dripping, an extra point for me as I don't really like the mess it causes. 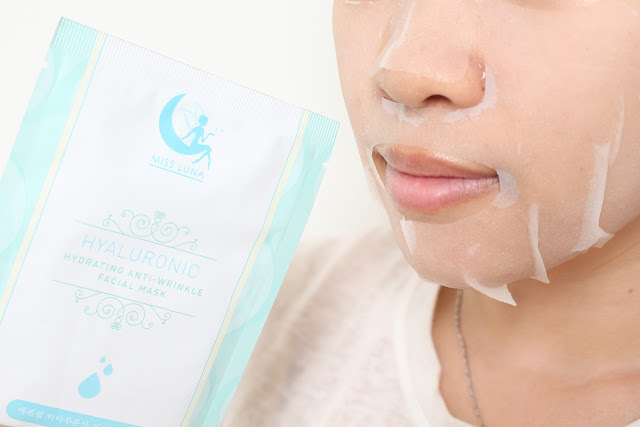 Hyaluronic Acid Mask contains a light but very moisturizing essence. It refresh and soothes my skin especially in the dry area such as cheeks. It makes my skin bouncy and glowing without any kind of greasy feeling. 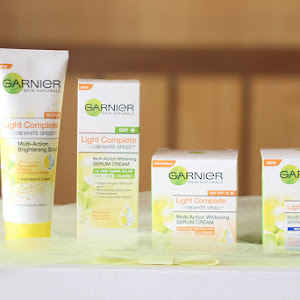 I really love to use this to pamper my dry skin especially after being inside an air conditioned room whole day or when the weather is getting cold on rainy season. I like the moisture feeling without being drenched. 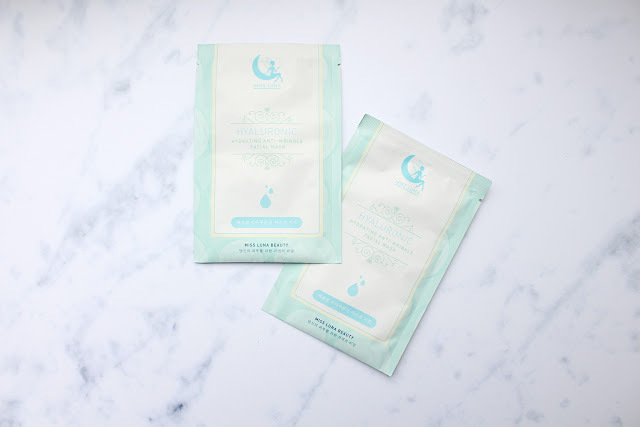 As for the Snail Mucous, I noticed it has a thicker essence consistency compared to Hyaluronic Acid Mask but it has a similar moisture properties. It also helps to calm down inflammation and acne when my skin is getting sensitive. The only downside is it left me with a bit of greasy feelings afterwards. Remember to use this only at night time as we're going to sleep so the greasiness will not be troublesome. 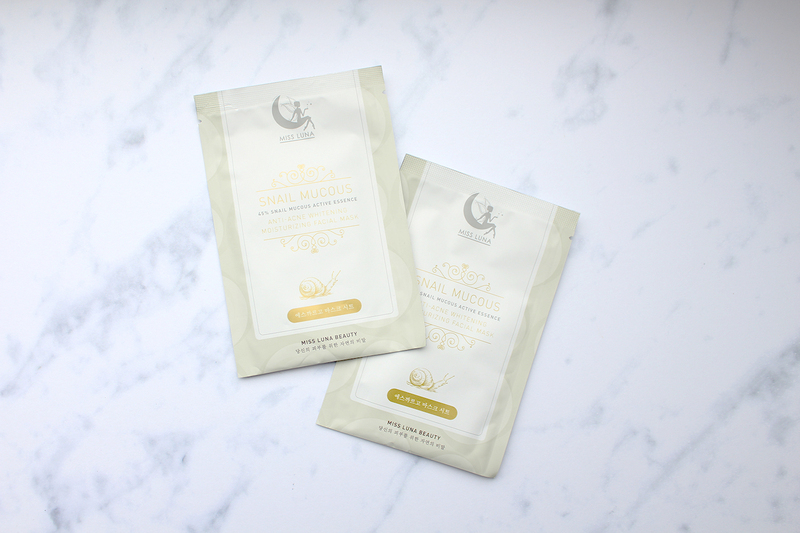 Overall, I really love these mask as they provide good nutrients from my skin. They also do not contain any funny fragrance that might annoy some people and do not break out my skin so far. Okay some people might start wondering if this mask will be goddamn expensive or perhaps could empty your pocket. Afraid not, because this mask will only cost you Rp 15.000,00 ($1) each. Yes, I didn't mistyped the price. A great deal! 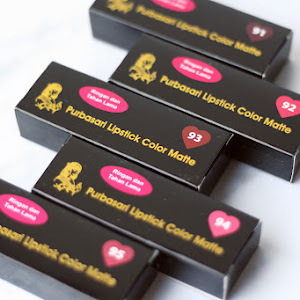 I could say it is very affordable and the quality could be equal or even better than other famous Korean brand that we know. Which one is my fave? I can't really tell since I use them alternately so I love both of them. I think I need to stock this for myself now and hopefully they will come with more variants.